Today’s the day Taylor’s fans have been waiting for: New Album Release Day. The Distance CD is now available, as well as additional song boni — the bonus song depends on the purchase location (Walmart, Target and/or iTunes). Oh, the sweet, sweet release that only comes after a HARD celebration! HARD meaning Happy Album Release Day, of course . . . I want to live on his bluejeanfield . . . if I say anything more, I’ll get in trouble with Bloggerina for being bad on her blog. Good grief, you’re witty! Great captions! I’ve never seen the “hover” pic. Absolutely magnificent! Don’t miss the i-tunes bonus of Yes We Can…. available now for download with the rest of the album. So funky-fun….just like that hovering picture!!!! “The Hover from Hoover”… that last shot is too much!! “HARD”, everybody…go buy!! Great headings, TH! Really cool pics! Love them all! You are so creative and clever! Thanks for this fun post! Great montage of pics TH….especially the first one….. This woman has definitely “Gotta Have It” – harmonica playing that is! Love it when Taylor blows harp! TH you are so creative & witty. Thanks for the chuckle this morning. I am so excited about the CD. This woman’s got to have it (the CD) and soon!!!! How about hide your hair? You have a picture of Tay with a tobaggon. Great laughs this morning figuring out The Distance tracks. 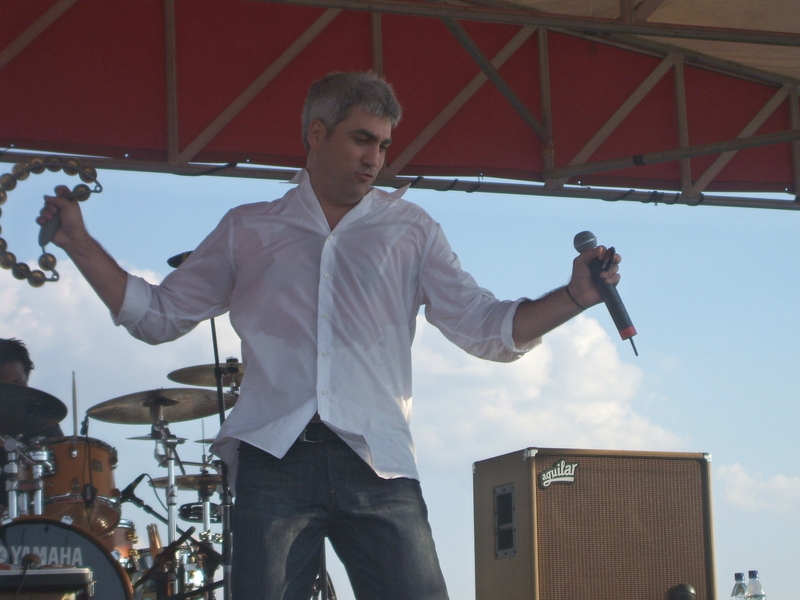 IT’S TAYLOR HICKS TUESDAY or TUESTAY, if you prefer. You are a riot…what a fab way to start this special Tuestay!!!! Too funny, TaysH! I love your captions! #6 – Hovering Taylor? Cool! Clever captions! I love them. Leave it to Bloggerina to find a way to add to the excitement with her phunny wit! Fantastic!! Wonderful! Oh, Happy Day! You and Taylor are the greatest. Happy, happy day!! I had an e-mail from Amazon saying my CD has been shipped. I am walking on air!!! Thank you, Tays, for such a great witty to start my morning. Oh you are a clever one TaysH…love all the captions and so appropriate for today. Love picture for Wedding Day Shoes…never saw it before…where is it from? Thanks once again for all that you do!!! Now lets go power shopping!!! 1. Seven pictures that I’ve never seen before — check. 2. Wicked-awesome sense of humor captioning each picture — check. Seriously, I laughed till my stomach hurt, especially at “What’s White is White”. I know next time I hear that song I’m going to sing along with the “new” lyrics…lol. 3. Happy grin all over my face for this fantastic gallery on such an important day for Taylor — check. 4. Enjoying the fun with Bloggerina and the RHSavers yet again — check. You’ve outdone yourself again, TH — this one ranks right up there with the OlympHicks!! 🙂 I especially love the Maybe You Should (Play the harp) and the Once Upon a Hover pictures. What great pictures and clever captions to illustrate this long awaited CD! “Yes We Can” now enjoy it!!! I started doing that at a few minutes into March 10th, thanks to I-tunes and that bonus track is delightful…..can’t wait to hear the other bonuses. on March 10, 2009 at 10:06 am | Reply J.
I heart levitating Taylor. Awesome post! You are one talented theme creator and I like the new photo/song titles. The Distance….buy it and remind your friends and neighbors to buy it! Support Taylor so he can stay on the road after Grease and give us what we crave…..LIVE MUSIC! I am a very happy fan today. Happy Belated Birthday….thanks so much for all of your hard work….. Happy Taylor Hicks Day Everyone!! I love em all, but hover and no hair are my favs. Happy TaylorCDintheneighborhood day. Great titles…. women gotta have this cd for sure!! The first photo heading describes WRIR if Elmer Fudd sang it. While I love your heading for photo 2, I was thinking “Keeping it Handsome” in my head. In the “Wedding Day Shoes” photo we see that even the aliens had to stop to watch his performance from their moon-shaped spaceships. GREAT photos! Fun intro and headings. Nice job! Funny stuff and great pics. Thanks for the laughs. Happy release day! At first glance I thought he was juggling on “Wedding Day Boots”. Thanks for the fun set of pics, loved them all. Nice pics – different. Loved the captions and comments also. Regarding the last picture…..love Taylor’s moves in this one!! There’s no one in the world like Taylor!! Wow. What a heart happy post, TaysH. You can really pick ’em. Yes, you can, yes, you can can. I went to Wal-Mart to buy the CD, and found it is not sold in stores. I wanted my bonus track. Oh well, this has given me something to smile about. Gotta go buy several copies on-line now. And I want all the bonus tracks too, especially after these pictures. Thanks for the fun titles. Leave it to Taylor to give us a gift if we buy more than one CD! Oh Yes We Can Can!!!! Isn’t he just the best! Update – finally got my copy at Target, and it was the last one on the rack. but no bonus track. I hesitated, because I didn’t want them to be out, but i needed my fix, and maybe if they are completely out, they will reorder. I certainly told them they should. It’s great to see Taylor on TV all over. Don’t miss Idol Tonight on the TV Guide channel. They will be playing it all week at different times. Glad to see a banner about his new CD on the American Idol page as well. It shocked me, but I did see it. I guess they have all decided to get along. I would not be surprised to see Taylor on the Idol show when he takes a break from Grease the week of April 5-6-7 somewhere right in there. That would just be a quick flight from San Francisco. One performance at a time, and one soul at a time. Loving the new CD too!